COMPUTEX 2014 — TAIPEI, Taiwan — June 2, 2014 — Corsair®, designer of high-performance PC hardware components, today announced three high-end PC cases: the Carbide Series™ Air 240 for mini-ITX, Graphite Series™ 780T full-tower, and the portable Graphite Series 380T mini-ITX. All three cases feature sleek design, incredible cooling potential, space for large components (such as 240mm watercooling radiators and a full-length graphics card), and a range of thoughtful extras and innovative features for a pleasant, stress-free building experience. Whether you are into mini-ITX or micro-ATX, the Carbide Series Air 240 is the PC case Corsair fans have been asking for: a stylish mini PC case that can keep today’s most powerful components cool. The cube-shaped chassis comes in either black or white colors, complete with side-window, and optimized for powerful air or water cooling configurations (including room for a 240mm radiator or two) without sacrificing space for a full-size graphics card—an impressive feat for a compact PC. Corsair’s Direct Airflow Pathway Cooling layout and three included AF120 fans guide cool air to your PC’s hottest components and ensure outstanding cooling performance. Meanwhile, hard disk drives and the power supply stay tucked away behind the motherboard out of sight. Advanced cable routing options hide airflow-restricting cables and provide easy connectivity with front panel USB 3.0 ports. 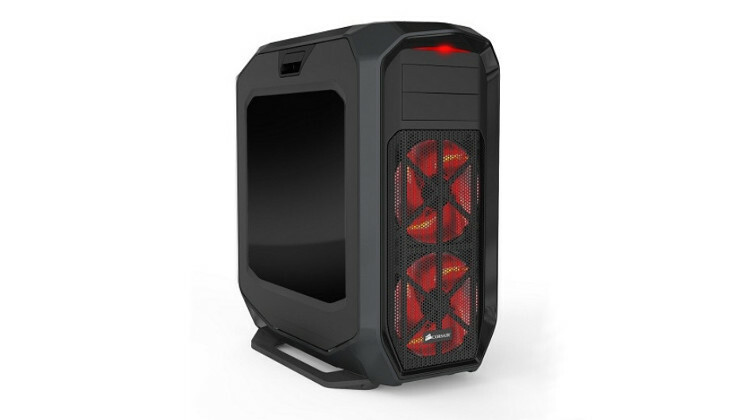 Go big with the strikingly styled Graphite Series 780T Full-Tower PC case. The 780T’s aggressive rounded looks —available in black or white — compliment the rugged construction while the internals raise the bar for PC case design, cooling, and expansion capabilities. The latched easy-open side window panel reveals a cavernous interior with enough room to accommodate dual 360mm watercooling radiators, nine expansion slots and up to nine hard drives. Lastly, a three-mode built-in fan controller lets you to fine-tune the airflow potential of the three included Corsair AF-140 140mm fans. The portable Graphite Series 380T, complete with integrated carry handle and multiple color options, gives mini-ITX enthusiasts everything they could want in a PC case. The sleek design starts with rounded corners and a windowed side panel that reveals plenty of space within. The 380T accommodates up to four 3.5in/2.5in drives and a full-length graphics card with ease. 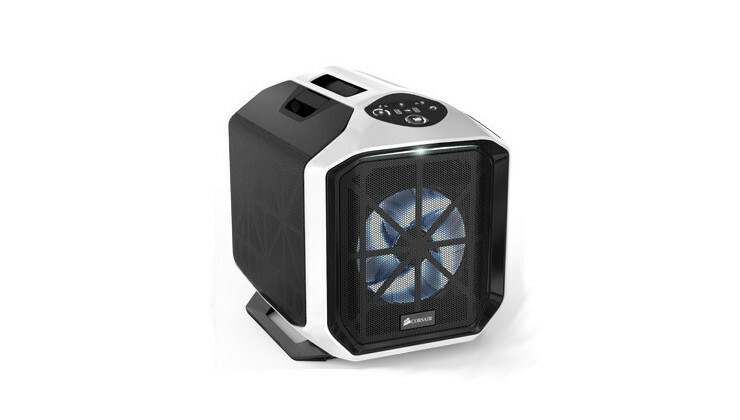 There’s also a host of cooling options that belie the 380T’s small size; fit up to five fans or a 240mm watercooling radiator such as Corsair’s H100i. A Corsair AF-140 140mm and AF120 120mm fan are included to ensure you get great cooling straight out of the box. As with the 780T, an integrated three-speed fan controller allows you to set your own the priority between cooling and silence. With full-tower features in a mini-ITX package, the Graphite Series 380T means there’s no need for compromise when building a portable PC. 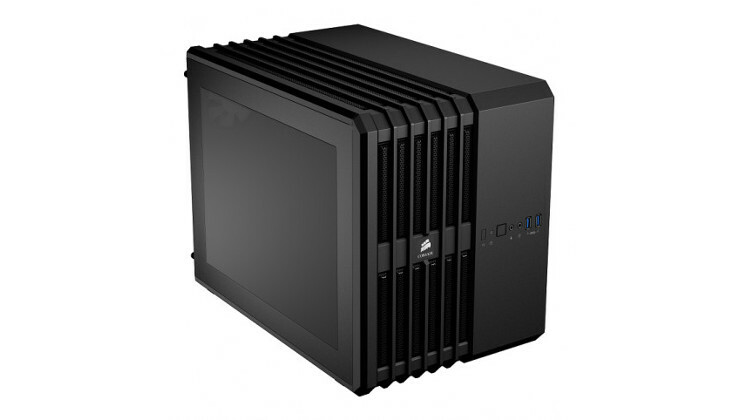 The cases will be sold through Corsair's worldwide network of authorized distributors and resellers. All are backed by a two-year warranty, which includes Corsair customer service and technical support.